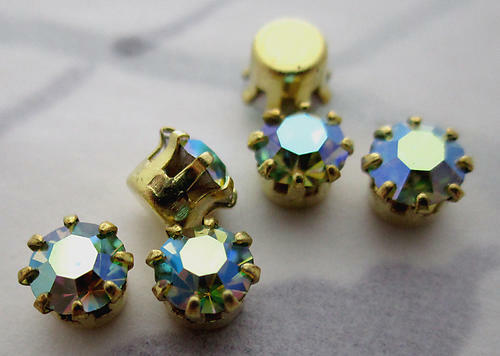 These are ss19 which is between 4.4mm and 4.6mm. Vintage Swarovski MCC machine cut crystal chrysolite AB rhinestones in raw brass Settings. Raw brass may have a patina with age. New old stock. Jewelry supplies.